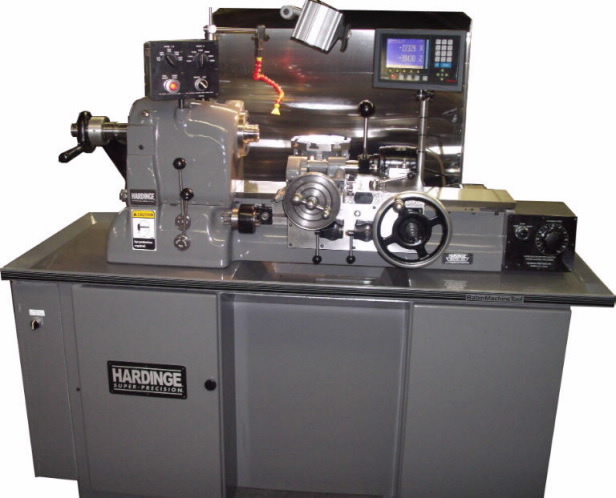 Have your Hardinge HC chucker lathe rebuilt to new machine "feel" and high quality appearance. 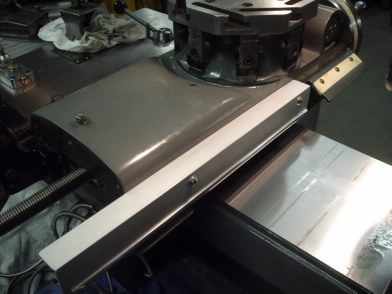 Rebuilding process includes complete disassembly, hand scraping of gibs and ways, reground dovetail bedplate, new precision spindle bearings, new turret bearings, professional high gloss paint, refitting to "like-new" tolerances, and much more. 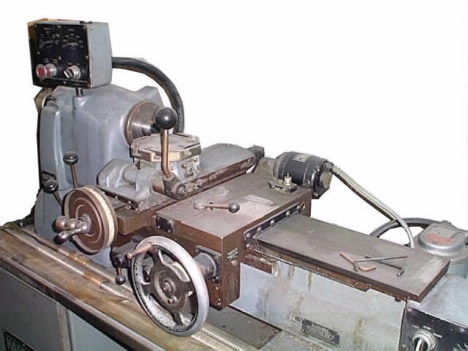 Hardinge factory still has most parts available for this great production lathe. 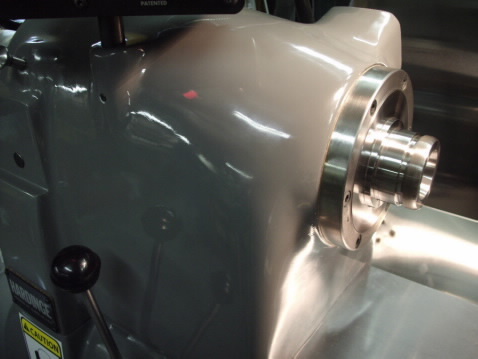 Babin Machine Tool rebuilding customers are located throughout the country. Hardinge HC (1976) chucker rebuilt for our CT customer. 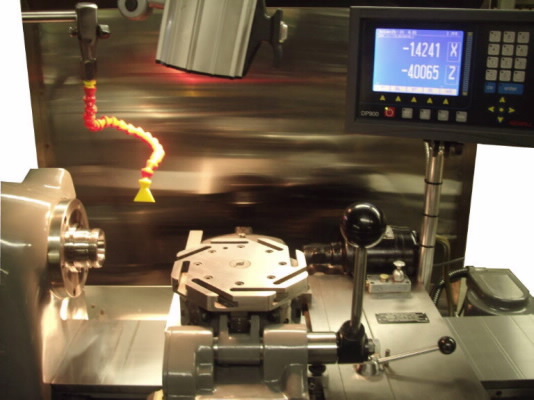 Newall DP900 DRO installed for .0001� resolution on diameter with 99 tool offsets, 5 year warranty and much more. Custom made stainless steel rear chip and coolant guard has been fitted with rear lifting handles for easy removal for cleaning. Hardinge headstock immediately after painting. Comb anyone? 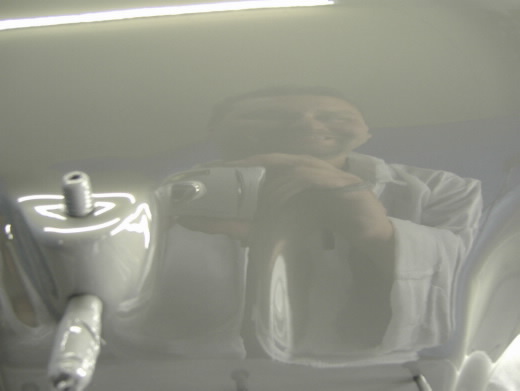 We use high gloss polyurethane paint with a lot of elbow grease underneath. Optional metallic paint and custom colors available. Non-painting option as well. Sometimes we have to check under the hood. Almost ready for painting now that three layers of paint have been removed. Of course a high build primer will be laid down first. 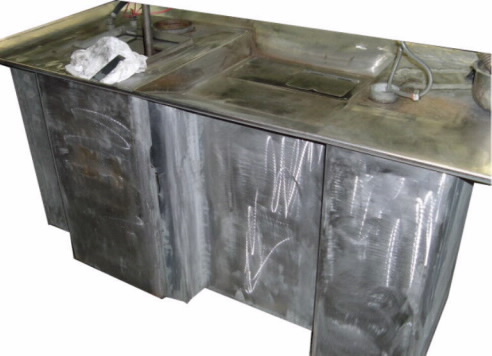 Background is the easy-to-clean lift-off stainless chip and coolant guard. Newall DP900 display rides with the carriage and features a 5 year warranty. Not bad for a 30+ year old lathe. Ready for another 30 years of precision work. Cross slide DRO scale (covered) and reader head in place and tested. 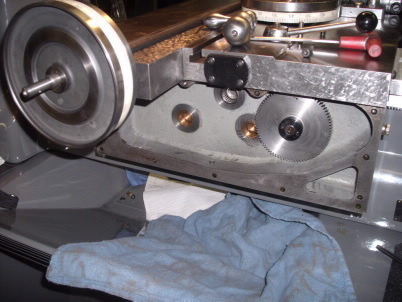 We treat your lathe like our own and we strive for attention to detail. 50 years of satisfied customers. We know you will be, too. 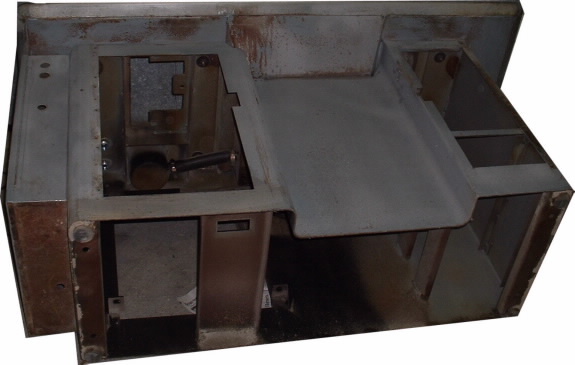 We perform on-site repairs, maintenance and service for Hardinge lathes.